8in x 6in free-standing jade glass awards plaque in curved shape design, suitable for engraving as corporate recognition or achievement awards. These curved glass awards offer a sleek, contemporary design at an affordable price. 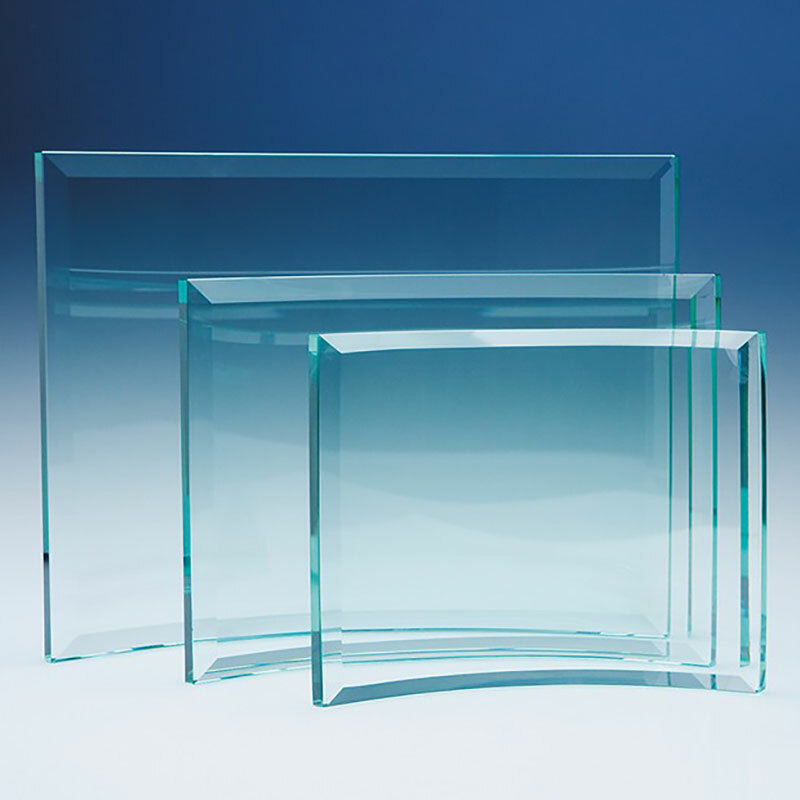 Featuring a free-standing curved glass piece, 3/8in in thickness, and with attractive bevelled edges. Sized 8in wide by 6in tall, these curved glass awards plaques are offered with low-cost engraving from Crystal Awards Supplier.